Artifex Mundi have announced Irony Curtain, a hilarious satirical point and click adventure set in a communist country for Nintendo Switch. The game will be out in 2019. Pricing has not been announced yet. Check out the teaser trailer and details below. 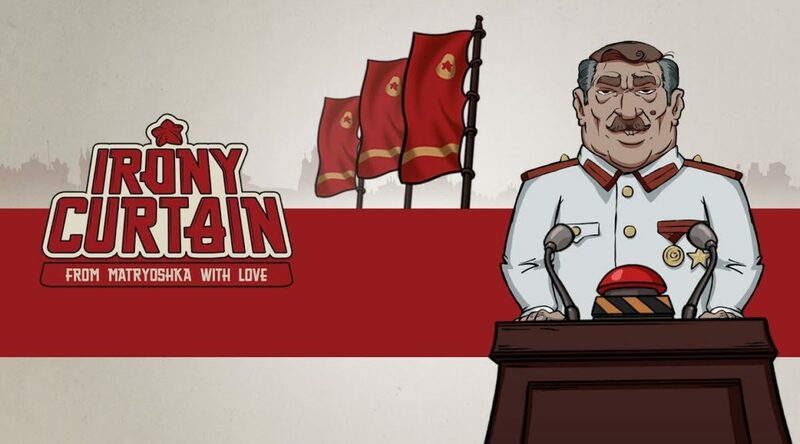 Irony Curtain, the hilarious satirical point and click adventure set in a totalitarian communist country, tears down walls and arrives on Nintendo Switch, PlayStation 4, Xbox One and PC when Artifex Mundi releases their forthcoming title in 2019. “Our glorious country of Matryoshka wishes to extend an invitation to the West, and allow them to witness the glory of communism first-hand. Visitors shall be the first outsiders to bask in the light of The Leader, who is the embodiment of all that is good and not the “demon, blood-drunk butcher, or godless dictator” non-believers would have you fear. We welcome them to explore our beautiful country and political realm by solving puzzles and minigames to understand the depth of corruption surrounding the magnanimity of our fearless leader. This sponsored visit includes a meeting with our Minister of Propaganda Communication, Vlad. The Minister’s job is completely unnecessary, but our country has zero tolerance for unemployment because it shows the West that we are stronger than them.